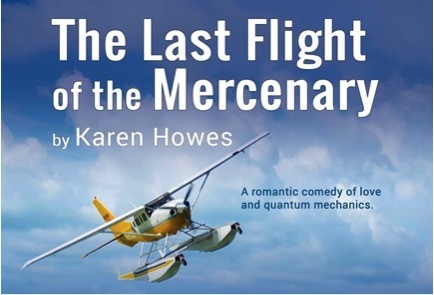 New Plays New Jersey in collaboration with Playwrights Theatre will present a free staged reading of “Last Flight of the Mercenary”, a new play by Karen JP Howes on Tuesday, March 1 at 7 p.m. at the Bickford Theatre, 6 Normandy Heights Road, Morristown, NJ 07960. The play is a romantic comedy that merges quantum mechanics with every day life when a bride-to-be from New York City (Claire Phillips) comes to a bed and breakfast on Vancouver Island with plans to marry the perfect man. But the stars don’t shine overhead and every wedding hosted at the house has turned out disastrously. With the hope of putting an end to the misfortunes, the physics professor who runs the B&B (Kate Eveland) decides to revisit the first wedding that went askew – her own.